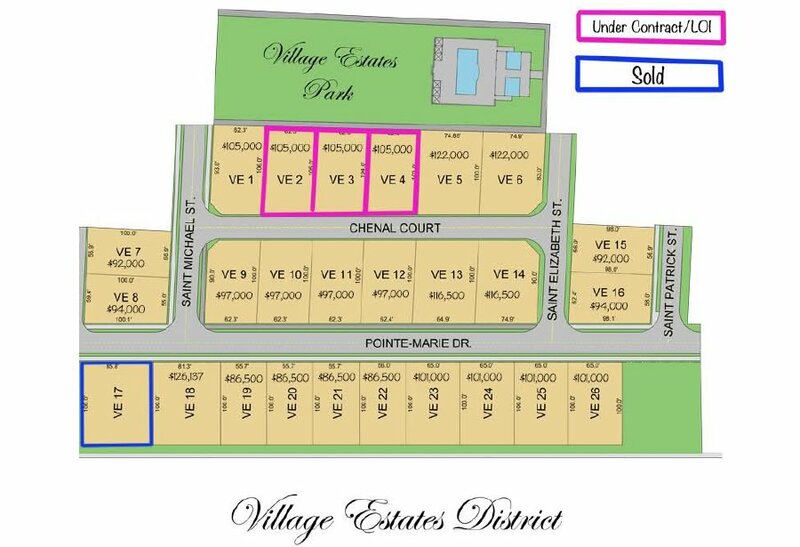 We have MANY types of properties available for sale and cannot begin to describe them all here. But here is a start…. Our on-site staff knows the details. Just give us a call or drop by! Pointe-Marie’s “downtown” overlooking River Road and the Mississippi River. 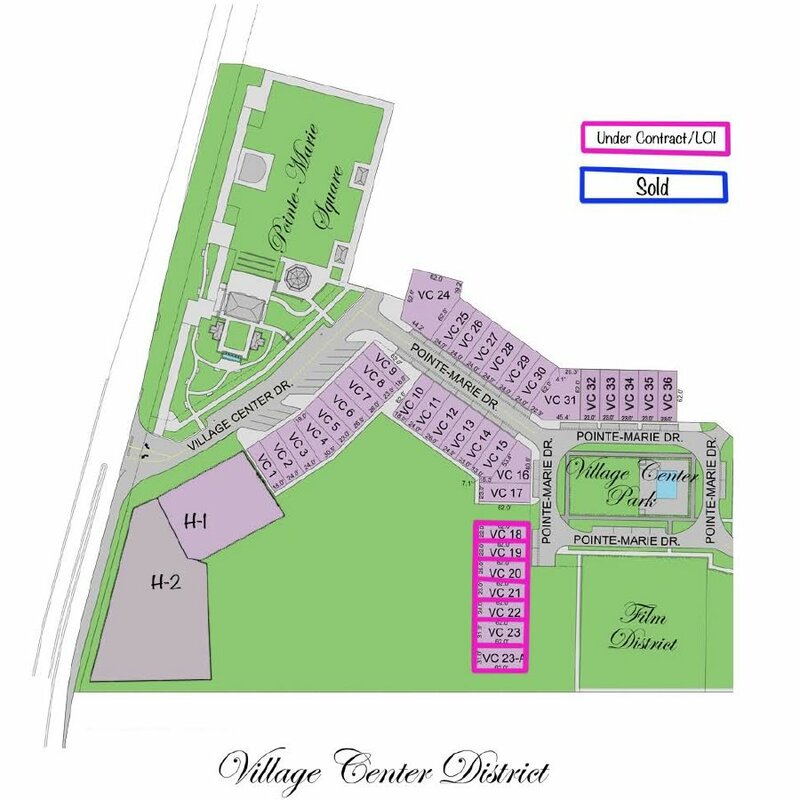 The Village Center will provide a diverse and engaging array of essentials and much more, offering dining, boutique shopping, entertainment, gathering, lodging, residences, and select services – all within a short walk from all neighborhoods and districts and equally accessible on foot or by automobile. From its first phase to its last, the Village Center will become a primary amenity and attraction for residents, guests and visitors. Central Square includes a diverse array of mindfully designed individual neighborhoods and districts integrated with neighborhood-scaled gathering centers, amenities and architecture – and all a short walk from the Village Center. Our Village Estates district will offer larger homesites surrounded by expansive neighborhood parks, preserves, gathering areas and nature. Like Central Square, in this district you have the opportunity to choose a finished home or work with our sales associates, design professionals and recommended builders to create a semi-custom or custom creation of our own.